A cute bunny pin / brooch with a heart. 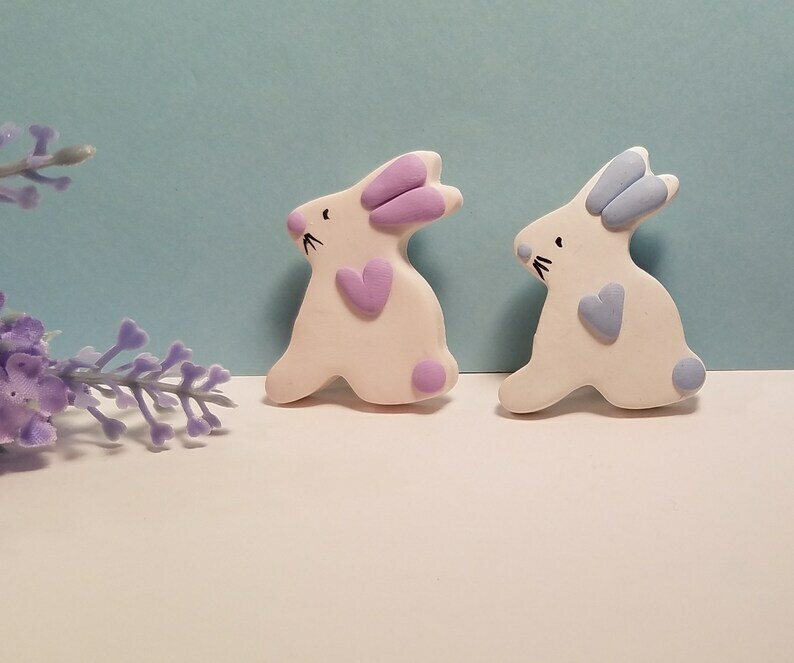 Handmade of polymer clay - WHITE with BLUE or light PURPLE for ears, nose, heart and tail. Eye and whiskers are added with black acrylic paint. Lightweight, about 1 1/2" tall, and finished on the back with a pinback with safety clasp.